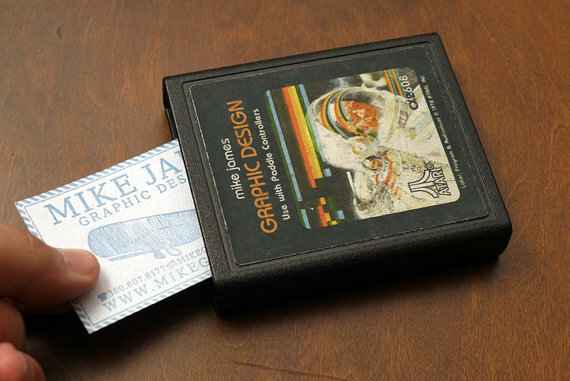 PRINTandGRAIN have some amazing designs and letterpress stationary/business cards in their Etsy shop, but the thing that really wows me is this Atari business card holder. You tell them your favorite game, your name, job title, and email address, and they’ll make a ridiculously awesome customized holder for you. This would be the perfect thing for a video game store owner, blogger, or professional geek. Atari 2600 Business Card Holder, $75 at Etsy.com. Geek Etiquette: Send a Letter!